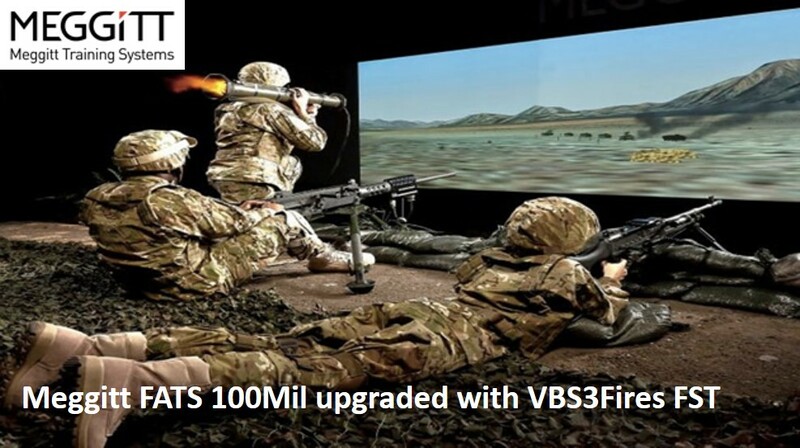 Meggitt delivered VBS3Fires FST as its singular Joint Fires training solution within both the Individual Skills Marksmanship Trainer (USMC – 2016) and the Weapon Training Simulation System (ADF – 2018). Working with Meggitt Training Systems International (MTSI) and Meggitt Training Systems Australia (MTSA), SimCentric’s software enables full spectrum Call for Fire and Close Air Support training to be conducted individually or collectively, incorporated with layered infantry weapon effects and within a realistic synthetic environment provided by the Meggitt FATS 100Mil. Deployed with the VBS3 synthetic engine only (USMC), or across a three screen Image Generator (ADF), SimCentric’s Joint Fires software enables doctrinally correct and scalable complexity training to be conducted efficiently, realistically, and at low recurring cost, with tangible achievement of military training proficiencies. SimCentric looks forward to further opportunities to work with Meggitt supplying Joint Fires software to other military stakeholders in the coming years.